WILLEMSTAD - Both airlines Condor and Eurowings will take over the routes covered by Airberlin when it stops its flights between Düsseldorf and the Caribbean. Airberlin recently announced that on September 25 this year it will stop operating its tropical flights. But the two competitors are already prepared to take over. Condor offers non-stop flights from Düsseldorf to Punta Cana as well as Cancun, La Romana and Montego, as of November 1st. Eurowing also fills up the gap caused by the disappearance of Airberlin. In fact, the two airlines take over all Caribbean destinations of Airberlin, with one exception: Curaçao. 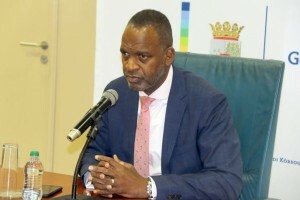 The Minister of Economic Development Steven Martina believes that Eurowings can be convinced to take over the route Düsseldorf – Curaçao. But the Minister also indicated that Curaçao is not in a favorable negotiating position. The Minister said that of course, this is not a good news and that his Ministry is working hard on getting alternatives. “Just to give an impression on what we are losing, it’s about 6,000 visitors who won’t be able to come to the island because Airberlin is not operating this route anymore,” said Minister Martina. The Minister believes that most of the passengers will look for alternatives, for example, KLM or TUI. But the government already started negotiations with Lufthansa and Eurowings to take over these routes.